Now that the OnePlus 2 is official and arriving August 11 (be sure to see our hardware tour), the company is giving its biggest fans chances to win free phones. 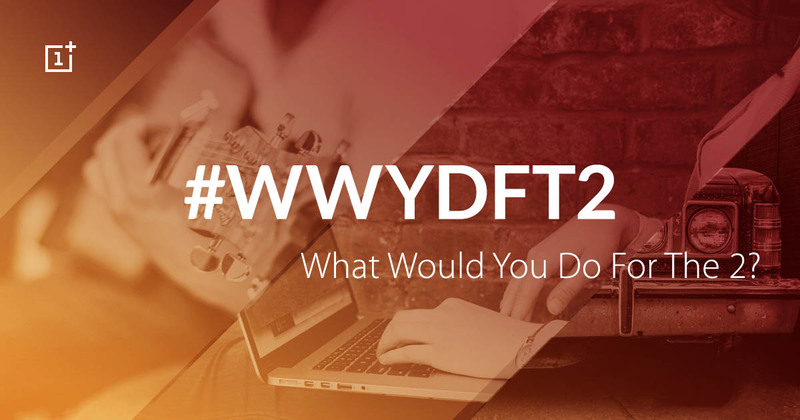 Through a contest of sorts under hashtag #WWYDFT2 (“What would you do for the 2?”), OnePlus is asking fans to complete any of 10 different tasks, film and submit the tasks being completed via the source link below, and then hope that enough people vote for them. If their submissions receive enough votes, they could win one of 22 handsets that are being given away. Some of the tasks are quite silly, like pimping your ride with a OnePlus theme, creating a OnePlus Bat-signal and blasting it in your city, or organizing a flash mob with at least 50 people. Others involve writing a poem or song about the OnePlus 2, creating an app for OnePlus fans, or finding ways to contribute to a local community project using tech. The contest runs for another 5 days, with winners being announced on August 5. If you want a chance to win, you should probably get your videos in soon to help gather votes. All of the details of the contest can be seen at the link below.